Model Latest - Please don't get confused with Aspire Vivi Nova. This is NOT Aspire Vivi Nova. Whats new in this Vivi Nova BCC Atomiser? The biggest difference between the Vivi Nova BCC and Vivi Nova is the heating coil of the BCC is located on the bottom. Due to the Atomiser head being on the bottom you can’t see your wicks, creating an overall cleaner look. 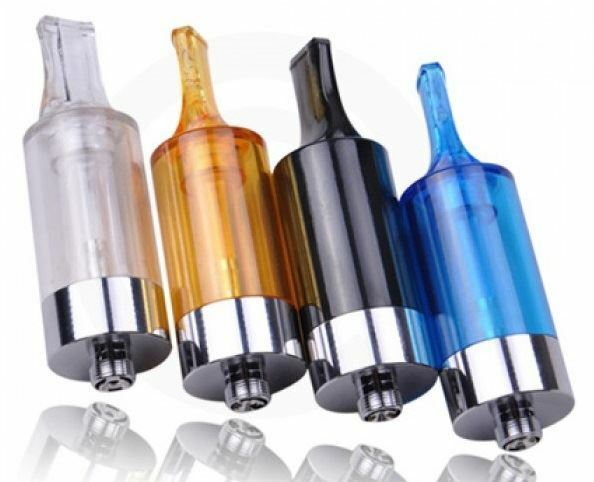 With the new BCC technology, this clearomiser will provide you with a whole new vaping experience, as due to the atomiser head being on the bottom of your tank, it is constantly saturated in E-liquid giving you less to no chance of a dry hit providing you with excellent flavour and throat hit! This clearomiser can hold slightly more E-liquid than an EVOD BCC (which is also a great product). The structure of this clearomiser is very simple and can be fully disassembled. Every part is changeable unlike with the Evod. Replaceable Bottom Coil and exchangeable DRIP TIP, clean and economic product from Electronic Cigarette World at the best price and conditions. Fill E-liquid into the tank. (Please make sure no e-liquid flows into the middle metal tube). The fill level is top of the inner metal tube.